You can probably already tell that the show is going to look different, given the pictures that have been released so far, but the look is not the only thing that will be a new experience in at least the first half of season two. 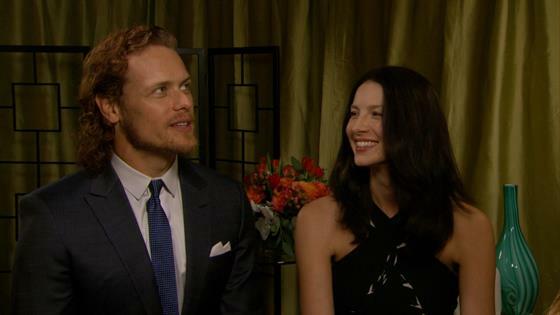 We caught up with executive producer Ronald D. Moore and stars Caitriona Balfe and Sam Heughan at the celebration of their TV Guide Magazine cover to get the scoop on what's to come. CLICK: Outlander Season 2: Everything You Need to Know!